Scott Forest Products distributes a wide range of industrial grade hardwoods. These include dense hardwood such as oak, maple and ash, as well as lower density species such as aspen and poplar. Heat treated hardwood are also available to our customers that require it. Our products are suitable for a variety of applications that include, but are not exclusive to; specialized packaging, pallet and crate manufacturers, blocking for the steel industry, heavy equipment operators, bridge builders, mining, trailer manufacturers and shoring for excavators. 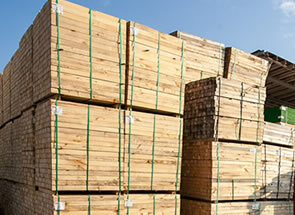 We distribute hardwood cants, rough sawn boards, squares, planks, as well as larger timbers.